Quintin was excellent to deal with and made our buying process quick and stress free! Quintin is very knowledgeable of all rules and regulations, this made the process very easy for me... He had good answers for all of my questions, and was always polite and easy to work with. Very professional, very invested in customer service and very thorough!! An all around great guy!! Your wonderful personality and your drive to get things done! My experience was great. I appreciate all that Quintin did to help me. I have already referred friends and family!! Quinten did an excellent job. I would highly recommend him to others. Great to work with. He stayed in touch and closed it early!!! 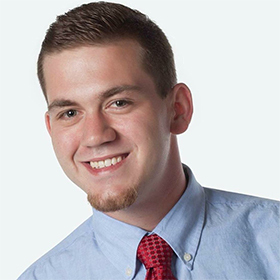 Quintin goes above and beyond to help his clients from beginning to end. Quinten was very professional and worked hard and efficient to get everything done!